Plum Creek in southeast Cook County, IL experiences bank erosion, widening, sedimentation, and degradation of in-stream habitat from stormwater. Partners identified a section of the creek at Plum Creek Forest Preserve for restoration. The idea was to restore a 1,150-foot section using natural channel design – pulling back eroded banks, construction of bankfull benches, use of bank toe-wood for armoring, creation of rock-wood riffles and pools for in-stream habitat. The project received grant funds in 2013 for assessment, engineering design, permitting, and construction to be completed within two years. Many challenges occurred and most notable was a long, stop-and-start process of balancing site and design constraints with permitting hurdles from numerous agencies, while attempting to maintain an economically and ecologically viable project. Extensive and costly permitting coupled with ballooning cost eventually had us considering returning the grant money prior to successful construction at the last hour in late summer 2018. Zach Taylor joined Friends in March of 2015. Zach has collaborated with FOTFP since 2010 when he managed and developed the job training program Greencorps Chicago-Calumet. He is an advocate for ecologically healthy, accessible, and safe forest preserves that are managed by a culturally diverse workforce. At Friends, Zach guides and manages ecological restoration projects within the forest preserves. The core of his work is the management and promotion of Friends’ diverse Conservation Corps programs. In 2017, Friends of the Forest Preserves offered paid positions to over 200 Conservation Corps members. 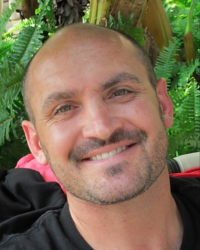 Josh Arrigoni is a restoration ecologist and environmental project manager at Stantec Consulting Services Inc. Josh has been planning and executing ecosystem restoration projects in the Great Lakes region since 2002. At Stantec, Josh helps to lead the ecosystem restoration implementation group, to which he brings extensive experience in site assessment, restoration planning, construction administration, and natural areas stewardship. Josh works with clients to develop creative approaches to site access and project execution that result in economical, low-impact solutions in a variety of challenging environments - from the coastal ravines and bluffs of Lake Michigan to sensitive wetland, prairie, and woodland plant communities. 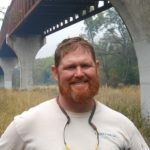 His project experience includes streambank and shoreline stabilization, naturalized stormwater management applications, environmental permitting and compliance, and development of restoration management and monitoring plans for a wide variety of terrestrial and aquatic ecosystems. Laura Barghusen is an Aquatic Ecologist at Openlands, a non-profit located in Chicago that protects the natural and open spaces of northeastern Illinois and the surrounding region. Laura works to improve access to northeastern Illinois Water Trails and to encourage education and stewardship on our region’s waterways. 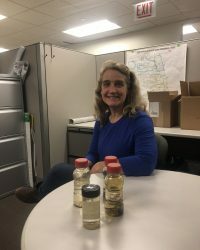 She also works to improve the health of rivers and streams within the Chicago Wilderness region. Laura is a coauthor of the publication A Field to the Fresh Water Mussels of Chicago Wilderness (2008). She holds an MS in Zoology from Miami University and an MA in Environmental and Urban Geography from University of Illinois at Chicago.